The HP LaserJet Enterprise 600 M603dn delivers reliable, high-volume printing and boosts productivity with a recommended monthly page volume of 5,000 until 20,000 pages and print speeds up to 62 pages per minute. It also features HP ePrint so you can print from virtually anywhere with your smartphone or tablet just send it to your printer and it automatically prints. 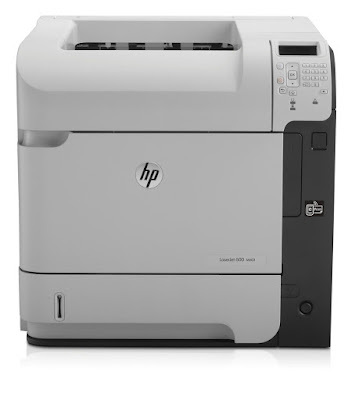 This HP LaserJet Enterprise 600 M603dn has built-in wired networking and a walk-up USB port that allows for quick prints from a flash drive. You can also control printing practices and enforce security policies with HP Access Control (must be purchased separately). With the HP LaserJet Enterprise 600 M603dn, you can manage jobs directly from the printer with the four-line color display and stay efficient with automatic two-sided printing, a 500-sheet paper tray and a 100-sheet multipurpose tray. You can easily update, manage and expand the capabilities of networked printers. 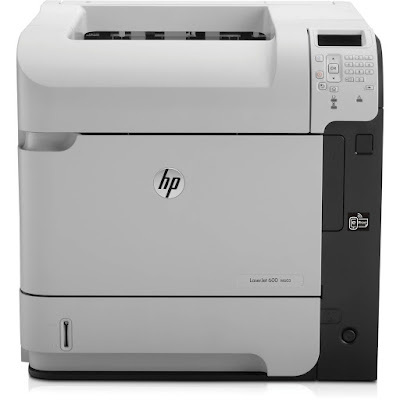 HP LaserJet M603dn helps you reduce energy use with HP Auto-On/Auto-Off technology and also gives you centralized access to custom energy-saving options and printer settings with the HP EcoSMART Console. This machine has been working well and is capable of handling heavy duty printing. I would recommend it to others. Our previous favorite, an HP LaserJet 5si, has been bumped to second favored with the addition of this LJ M603 with five-bin mailbox or stacker. The LJ 5si gives us large-format capabilities, so we still use it even after 16 years in service. 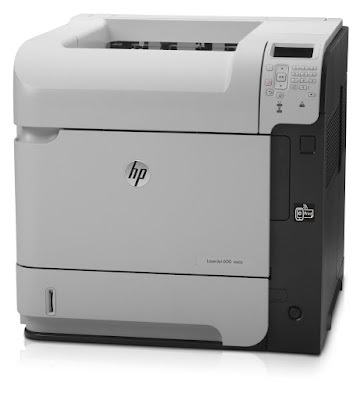 The M603DN will replace two other HP printers with its twice the page-per-minute print speed. The M603 series printer has throughput as fast as our old offset presses, especially when counting time for set up and cleanup of the presses. Gets pretty heavy use and has printed solidly. We print documents that go to clients so we need very clear printing. No MICR or checks. The only issue we have is the same issue we have with all HP's. And that is that it drops off the network periodically, so jobs stack up in the queue. Not really hard to fix, but it gets annoying. Brother doesn't seem to have that problem, but I haven't found them to be as durable as the HP laser jet enterprise 600 printer. So far we have had very good results from these printers. They seem to be fast, responsive, and they haven't been using toner nearly as quickly as the 10 year old units they replaced. The printers are used in a retail environment for printing invoices and pick lists, with an average ink coverage of approx. 2%. Time to first page and the quickness of subsequent pages has helped us increase customer service quality and cut down on maintenance costs. Also, 6 months in and not a single paper jam to speak of. Overall, I'm quite satisfied with these units and would recommend them to any small to mid-sized business.